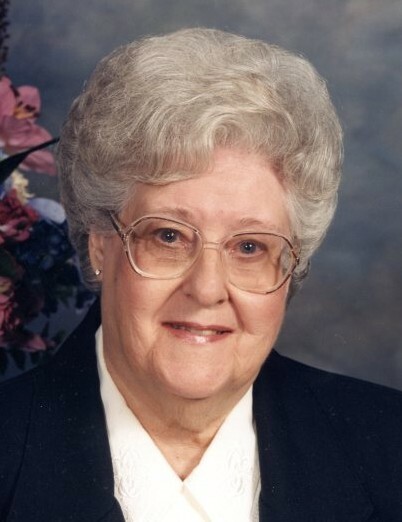 Lillian R. Huffman, age 94 of St. Paul Park, passed away August 17, 2018. Funeral will be 12:30 pm, Monday, August 20, 2018 at Community UCC, 1145 Summit Avenue, St. Paul Park. Visitation will be Sunday, August 19, 2018 from 4 – 7 pm at Kok Funeral Home, 1201 Portland Ave., St. Paul Park and also one hour prior to the service at church. Interment Newport Cemetery. Lillian was born July 28, 1924 in Milltown, Wisconsin to Thomas and Eleanora (Bering) Hermansen. Loving the outdoors, she kept her hands busy with projects and considered herself a bit of a “Tom Girl” as she grew up. She graduated from Unity High School in 1942 and moved to St. Paul Park where she lived with her sister Belva. She met Robert “Joe” Huffman while working at King Packing and they were later married in 1946. They made their home in St. Paul Park where she continued to work for a short time while raising their two children. Lillian was an avid Minnesota sports fan and followed the North Stars, Twins and Vikings closely and kept track of team records and player statistics. One of her highlights was trying on a Twins World Series Championship Ring and attend one of the World Series Games at the Metrodome. Lillian enjoyed reading and was able to go on several cruises with Jim and Carolyn through the years. In the neighborhood, many knew her as “Grandma Lil” and frequently had guests stop by for a cup of coffee. She always put her family first and they will miss her dearly. Lillian is survived by her children Carolyn and James “Huffy” as well as several nieces, nephews, family and friends. She is preceded in death by her husband Robert “Joe”; parents Thomas and Eleanora Hermansen; 3 brothers Herluf, Vernon and Robert and 5 sisters Margaret Dombrock, Belva Jacobson, Myrtis Mitchell and two infant sisters.